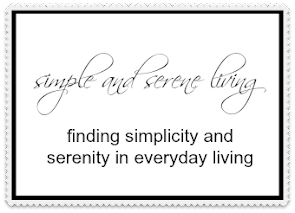 I have been busy for a couple of days running errands and catching up on all those little household chores that never seem to get done. The weather is cool, gray, and windy here and as I hurried to my car this morning I wondered where the sun has gone and wherever it is I want to follow it. It reminded me of one of my favorite Beatles' songs and I have been singing it all day. As much as I am sure you would love my rendition, I thought you might enjoy their's more. I think I will fix myself a cup of hot chocolate, light a sweet candle, and take a little break to start on the new M.C. Beaton book I found at the library today. It is the latest in her Agatha Raisin mystery series. If you haven't ever read any of her books and you like mysteries and love to laugh give them a whirl. You won't be disappointed. Oh, and I must share a wonderful giveaway today. 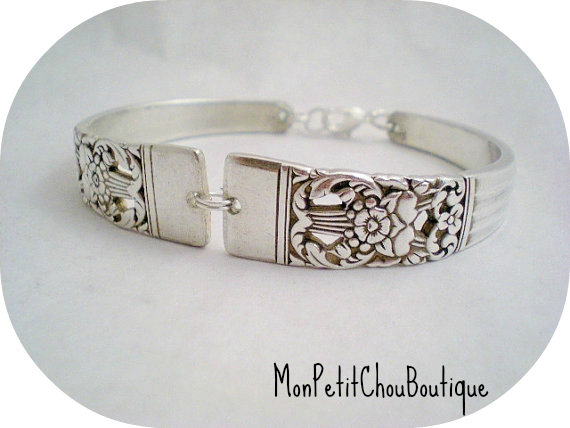 Head on over to Camp and Cottage Living for a chance to win this gorgeous bracelet and more. And if you aren't already a follower of her wonderful blog, I'm sure you will want to become one. You should come here! The sun is here in Brittany, or rather was there until 4 pm... It's rather windy and stormy now, but the weather forecast had said we'd had a tempest during the weekend and tempest on the North Coast where I am can be ugly! Thank you for spreading the word about my give-away. Good Luck! 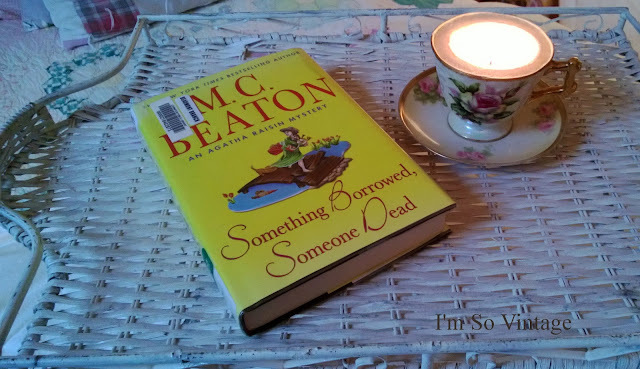 I am a huge Agatha Raisin fan too. I think I've read every book, but this one. they always make me laugh and, sorry to say, I can relate to the poor lady! oh my gosh oh my gosh, I didn't know there was a new one out! I have read all of her books, The hamish mcbeth series and the agatha raisin series, I'm going to check my library website right now!That is a beautiful giveaway! I love Hamish MacBeth! I need to check this series out. LOL I'm not compensated by anyone, either. You can never go wrong with a beetles song! That's a good one. Your teacup candle looks so pretty burning. It has been cold and windy here this weekend too. The sun did shine though. Glad that you're making the most of your grey weather there. Now that song is in my head! LOL! I had a nice sunny day, but tonight I'm about to curl up with the latest mystery in Julie Hyzy's series about the White House Chef! It's a fun series for sure. I must admit to not being an Agatha fan...oh well. Hope you have a great Sunday! You made this old Beatle fan laugh and laugh! We have been fogged in for 10 days! Maybe Honolulu can send you and I some "Good Day Sunshine" compensation! Lately my neck is cold and today I decided to wear a scarf...While working at the library I noticed that the author was pretty popular..
Hey Laura- I love grey, cold days days.. gives me a chance to catch up....relaxing. Enjoy your read. I am going to check out your book suggestion! we do need to take time to have some time for ourselves. I seem to do too much of that, instead of housework! A sweet song from the Beatle's and a nice reminder to enjoy our lovely weather while we still can! Thanks for visiting and commenting about my post on the Pacific NW. I'm happy to follow you back on GFC and Bloglovin'.